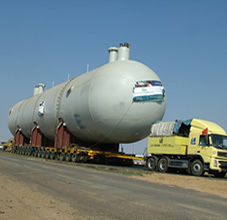 Our credentials on Mounded LPG Storage Systems have been established on India's largest terminal handled on an LSTK basis for the Gas Authority of India at their UPPC Project. This project involved 9 nos. 6 m dia. X 99 m lg. 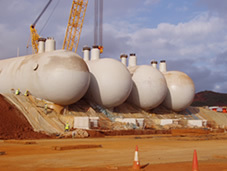 LPG/Propane bullets on two mounds along with complete pumping, civil, piping, electrical, instrumentation and cathodic protection facilities to operate the plant. We have since built over 40 Mounded Storage Bullets thereby building a strong body of experience in this space.